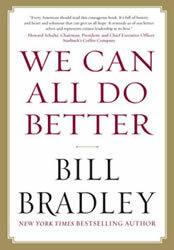 In 10 essays, filled with intensely personal observations and reflections, Bradley revisits the basketball court with the fire of the competitor and the eye of the writer, and explores these qualities in action: the dynamics of teammates on the court and off; the pure love of the game that leads to the unselfish pass or the screen away from the ball; the individual courage to risk the last-second shot, to face a hostile crowd, to say “I blew it”; the responsibility to teammates, coaches, and fans to stay in shape, play hard, and honor the game. In his best-selling Life on the Run, Bradley offered fans a fascinating account of the day-in day-out experiences of an NBA star. In Values of the Game, he shifts his thinking to a larger universe. He pulls back the curtain once again, letting us in on basketball’s secrets – many of which, it turns out, extend to life beyond the hardwood court. You begin by bouncing a ball – in the house, on the driveway, along the sidewalk, at the playground. Then you start shooting: legs bent, eyes on the rim, elbow under the ball. You shoot and follow through. Let it fly, up, up and in. No equipment is needed beyond a ball, a rim, and imagination. How simple the basic act is. I’m not sure exactly when my interest turned to passion, but I was very young, and it has never diminished. When I was a teenager, alone in the high school gym for hours, the repetition of shooting, shot after shot, became a kind of ritual for me. The seams and the grain of the leather ball had to feel a certain way. My fingertips went right to the grooves and told me if it felt right. The key to the fingertips was keeping them clean. I would rub my right hand to my sweaty brow, then against my T-shirt at chest level, and then I would cradle the ball. By the end of shooting practice, the grime had made its way from the floor to the ball to my fingertips to my shirt. After thousands of shots, my shirts were permanently stained. The gymnasium itself was a part of my solitary joy. I took in every nuance of the place. It was a state-of-the-art facility, with retractable fan-shaped glass backboards. The floor was polished and shining when I moved, it glistened as if I were playing on a mirror. The only daylight streamed in from windows high along the sloping ceiling. The smell was not of locker room mildew but of pungent varnish and slightly oiled mops, the guarantors of floor quality throughout the years. The gym’s janitor insisted on one absolute rule: no street shoes allowed on the floor. It was sacred terrain, traversable only by the soft soles of Converse or Keds. Then there were the sounds. Thwat, thwat! The ball hit the floor and the popping sound echoed from the steel beams of the ceiling and the collapsed wooden stands that stacked up twenty feet high. Thwat, thwat, squeak – the squeal of your sneakers against the floor, followed by the jump and then the shot. The swish of the ball through the net, a sound sweeter than the roar of the crowd. Swish. Thwat, thwat, squeak, swish! 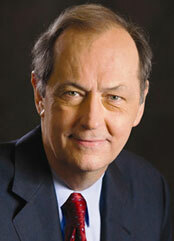 Excerpted from Values of the Game by Bill Bradley © 1998. Reprinted with permission by Workman Publishing.